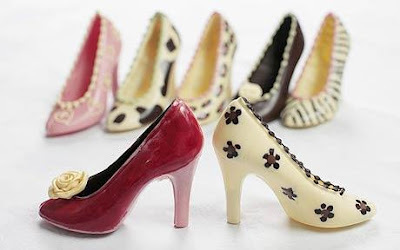 Chocolate shoes – what more could a girl want?! – ¿¡ tjongolongo ?! I think it’s really nice how a cake maker can get inspired by a shoe mould and basically put herself on the (cake) map with something unique. A nice piece of marketing without trying! Would you buy a pair of chocolate stiletto’s?